A public lecture with Walidah Imarisha. 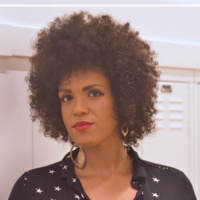 Walidah Imarisha describes herself as an historian at heart, reporter by (w)right, and rebel by reason. Winner of a 2017 Oregon Book Award for creative nonfiction for Angels with Dirty Faces: Three Stories of Crime, Prison, and Redemption, she also has edited two anthologies, authored a poetry collection, and is currently working on an Oregon Black history book. This interactive lecture includes historic slideshow images.